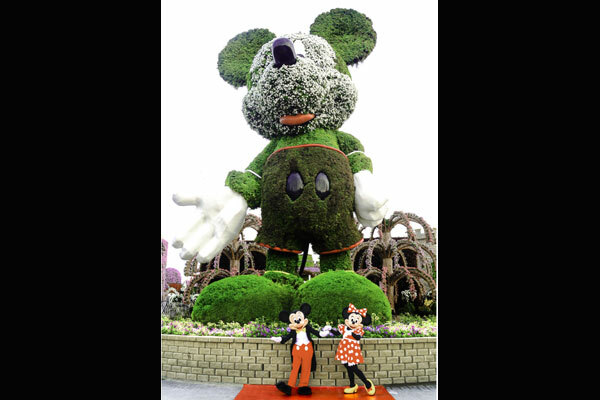 Mickey Mouse surprised UAE families with an appearance at Dubai Miracle Garden - the world’s largest natural flower garden - on Friday. Celebrating his 90th anniversary (on November 18), Mickey opened the garden's new Disney Avenue, with Minnie by his side. ‘Disney Avenue’ sees larger than life floral structures of the true original himself, along with Minnie, and his friends Goofy, Pluto, Daisy and Donald Duck; and Huey Dewey and Louie.